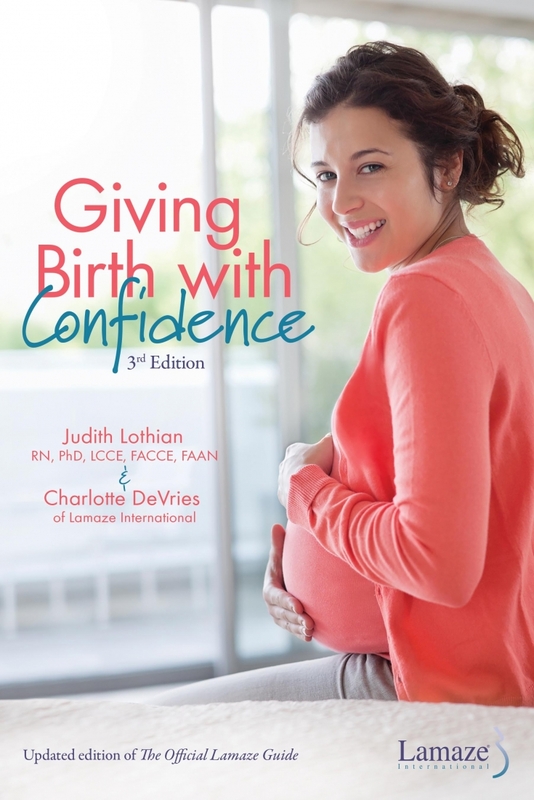 Lamaze International has published the third edition of The Official Lamaze Guide, now known as Giving Birth with Confidence. This edition breaks down the pregnancy, labor and birth, offering parents trusted information to understand options and build their confidence to make decisions that support the safest, healthiest birth possible. This book can be purchased individually as a reference for your practice or purchased in bulk to use for childbirth classes or as a guide you provide to patients. Giving Birth with Confidence and its companion blog have reached millions of parents. Authors Judith Lothian, RN, PhD, LCCE, FACCE, FAAN, and Charlotte DeVries take the best current research on how to have a safe and healthy birth and present it in an easy-to-understand way, giving parents actionable steps to put into practice right away. Giving Birth with Confidence uncomplicates birth, helping parents to feel informed and confident rather than overwhelmed and fearful. Read a review of Giving Birth with Confidence on Connecting the Dots. Giving Birth with Confidence is an excellent teaching tool or companion resource for your in-person classes or to provide to patients. Members of Lamaze International and healthcare providers have the option to purchase copies in bulk at a discounted rate. Take advantage of this offer to add value to your classes and give parents-to-be an evergreen resource. You can conveniently order Giving Birth with Confidence through Amazon and, with Prime benefits, you will save on shipping costs.